ORIGINAL SKETCH of GROO the WANDERER by artist - SERGIO ARAGONES. Paper size - 8.5 x 11. Check out my other auctions for more great deals. 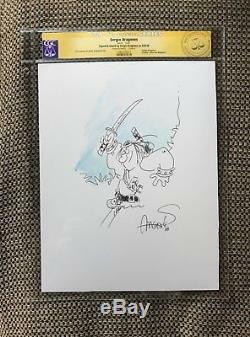 The item "SERGIO ARAGONES original art GROO the WANDERER sketch CGC CERTIFIED mad magazine" is in sale since Thursday, May 24, 2018. This item is in the category "Collectibles\Comics\Original Comic Art\Drawings, Sketches". 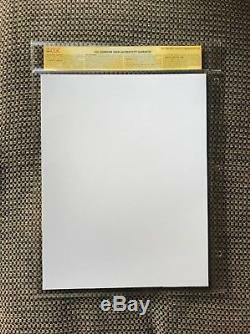 The seller is "flarn360" and is located in Vallejo, California. This item can be shipped to United States, Canada, United Kingdom, Denmark, Romania, Slovakia, Bulgaria, Czech republic, Finland, Hungary, Latvia, Lithuania, Malta, Estonia, Australia, Greece, Portugal, Cyprus, Slovenia, Japan, China, Sweden, South Korea, Indonesia, Taiwan, South africa, Thailand, Belgium, France, Hong Kong, Ireland, Netherlands, Poland, Spain, Italy, Germany, Austria, Israel, Mexico, New Zealand, Philippines, Singapore, Switzerland, Norway, Saudi arabia, United arab emirates, Qatar, Kuwait, Bahrain, Croatia, Malaysia, Brazil, Chile, Colombia, Costa rica, Panama, Trinidad and tobago, Guatemala, Honduras, Jamaica.